The Century Initiative plan to bring 450,000 per year until the end of this century has no parallels whatsoever in the history of any nation since the origins of humans. It is a malicious act of deception, therefore, to justify current immigration levels by referring to the “historically” high levels of immigration of the early 1900s. Immigration numbers today are fast destroying the ethnic and cultural identity of the founding peoples of Canada. 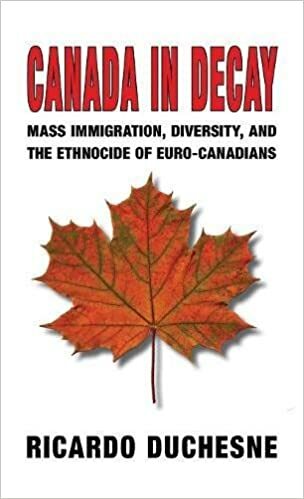 The prediction is that by the end of this century White Canadians will constituted only 20 percent of the population inside a nation controlled by 80 percent non-Whites lusting to eliminate what they will happily identify as the “White trash” leftovers. If you don’t want your children to live in this impending dystopia, support CEC.